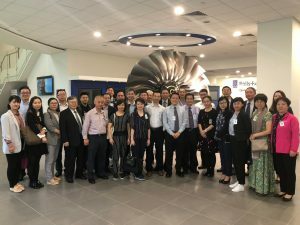 The Singapore Aerospace Quality Group (SAQG) welcomed a delegation from the World Alliance for Chinese Quality (WACQ) to Seletar Aerospace Park (SAP) on 9 November 2018. The 30-man delegation consisted of members from the Chinese Association for Quality, the Chinese Society for Quality, the Hong Kong Society for Quality, as well as executives from companies such as Xiaomi Communications and Chinese research institutions. The delegation was in Singapore to attend a two-day summit, organised by the Singapore Quality Institute. As part of the programme, the delegation visited various “Best-in-class” organisations to witness and learn about innovative means in achieving best practices for quality. During the visit to SAP, the delegation was given an introduction of AAIS and an overview of the Singapore aerospace industry by SAQG Chairman, Mr Jimson Ngiam. 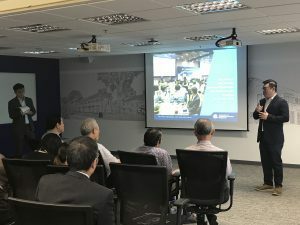 The group also visited the Rolls-Royce Singapore Assembly and Test Unit, hosted by SAQG Deputy Chairman, Mr Jeffrey Ho.